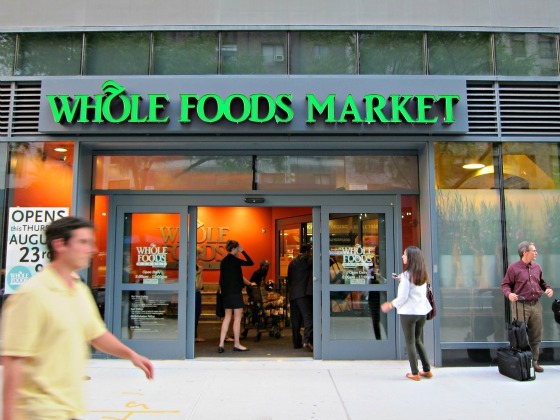 Whole Foods is another example of brand that is guided by purpose. Yesterday, I wrote about REI’s purpose which is to inspire, educate and outfit for a lifetime of outdoor adventure and stewardship. Today I am going to write about Whole Food’s whose purpose is to teach people that what they put in their bodies makes a difference, not only to their health and to the people who supply the food, but also to the health of the planet as a whole. Whole Foods is passionate about helping people to eat well, improve the quality of lives and to increase their lifespan. Whole Foods CEO John Mackey has long been an advocate for the power of purpose in guiding a brand. In his book “Conscious Capitalism” John Mackey talks about the importance of purpose for an organization. Mackey writes that Purpose is the definitive statement about the difference you are trying to make. “If you have a purpose and can articulate it with clarity and passion everything else flows”. A higher purpose gives great energy and relevance to a brand. From his perspective, purpose comes before formulating a strategy. Whole Food’s has also been a leader in environmental stewardship and sustainability. Whole Foods environmental mission is guided by the 3 R’s Reduce, Reuse and Recycle. Have you shopped at Whole Foods Market?